SUNDAY 16th JUNE 2019 AT 2 p.m.
at the GOLR Archives. Our Ast. Reg Ratling Ann Wickens will lead the walkers on a walk from Brixton, around the Common and then in to Roswyn for their much deserved afternoon tea. 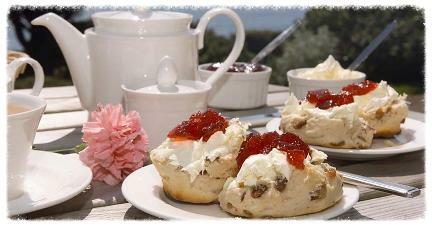 You can be one of our walkers, or just attend the tea and Archives Day at Roswyn. If you can't be with us in person, then you can still support by sponsoring one of our walkers. More details to follow but please note the date in your diary! SUNDAY 27th MAY 2018 AT 2 p.m.
Show Biz Nostalgia & Memorabilia with the GOLR Archives. and raspberries for only £8 adults and £5 children. To book, please download the booking form above and send in for your tickets. THANK YOU ALL SO MUCH FOR YOUR WONDERFUL SUPPORT, IT IS VERY MUCH APPRECIATED. We have our first major event of the year on Sunday 2nd April and what a fun day it promises to be. 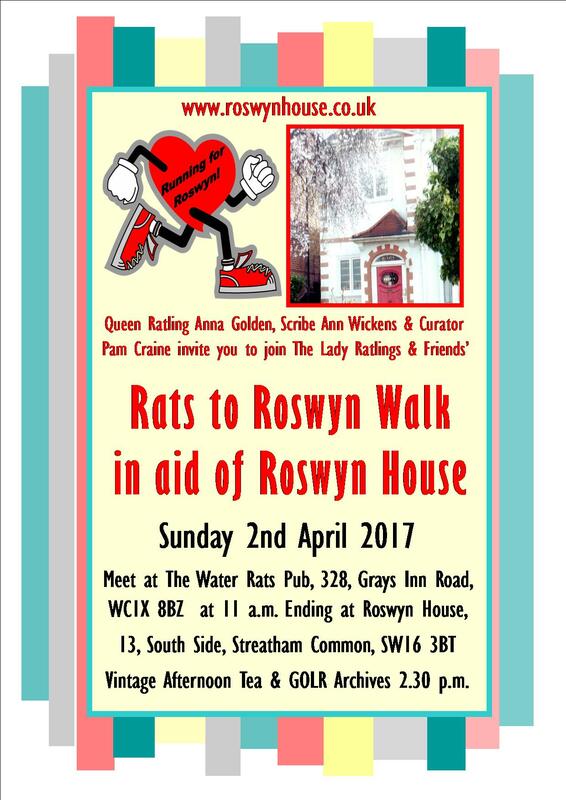 Our wonderful Scribe Ratling, Ann Wickens has offered to lead a walk from The Water Rats Pub in Grays Inn Road, to Roswyn and she hopes many Sister Ratlings, plus guests will join her and help to raise a substantial amount of money for our modernisation plans. 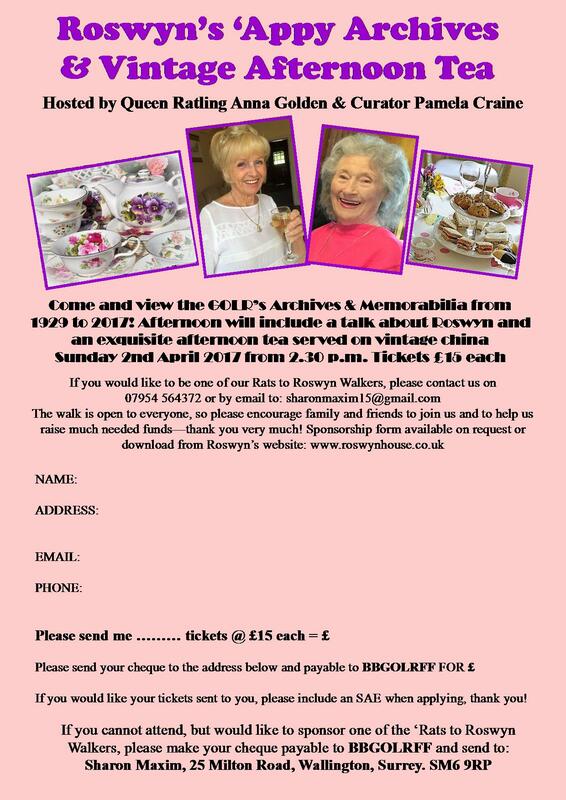 When the 'walkers' arrive in Streatham we will have a wonderful vintage afternoon tea in full swing, along with viewing the GOLR Archive Books & Memorabilia, so we hope to see lots of you there. Flyer can be downloaded along with sponsorship forms. Even if you can't attend, please think about sponsoring our walkers, any amount will help. THANK YOU VERY MUCH! CHRISTMAS PARTY TIME AT ROSWYN 2016! We hope to see lots of you there and please bring family and friends with you too as you can sit in the garden under the table umbrellas and have a wonderful relaxing afternoon. Entrance is just £1 and your ticket will be entered into a prize draw to win a bottle of wine. SUNDAY 17th APRIL 2016 at 2 p.m. Please download and print off the booking form from the link above, look forward to seeing you there! A fantastic reminder of the day! Recorded for us by Ray Green and available to purchase directly from us. One dvd is just £9 including postage. To watch a short compilation from the dvd, please go to our Gallery page. SPOOKY HALLOWEEN NIGHT AT ROSWYN HOUSE! Come and join in all the spooky fun at Roswyn. for the most original outfits! Ticket price of £10 includes food, games, music, prizes and surprises! 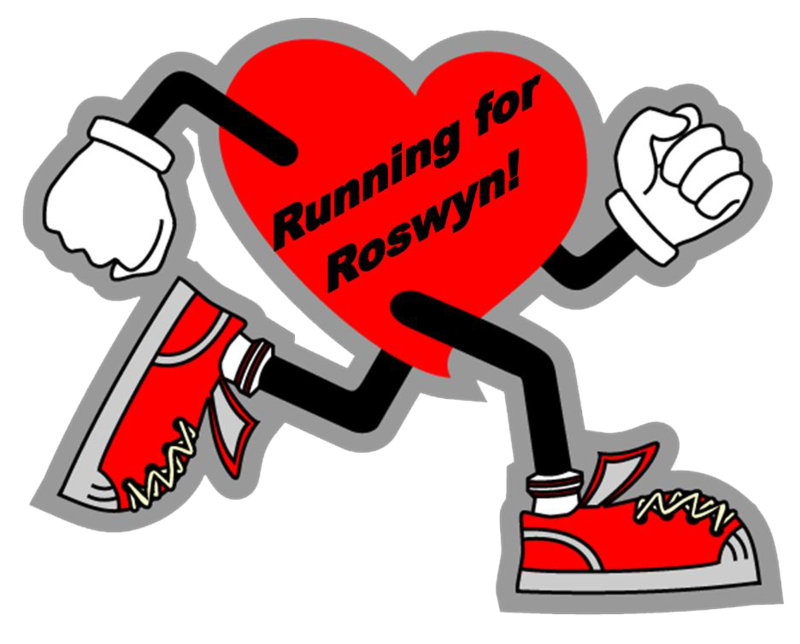 All proceeds for Roswyn's Restoration Fund. Download and print off the booking form from the link above, write down your email address and we will confirm your booking via email. Huge thank you to everyone who came along, we had just over 200 people in the room! We never thought this event would get this big but what a day it was! We will be putting up photos, video and comments very soon but for now, a huge thank you from all at Roswyn House for your support of our special 50th Anniversary function. Thank you to everyone who has bought tickets for this event, we have had to upgrade the function room three times now as we have sold so many tickets! We are very grateful to everyone who is coming along. The Royal Garden Hotel, Kensington. Sunday 29th March 2015 from 12 noon with buffet lunch at 1 p.m. This year our Curator, P.P. Billie Roper is having the number 50 as the theme for the Archives Day. 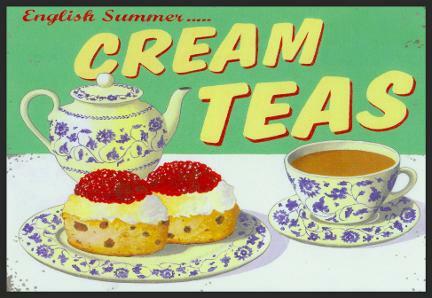 This is to tie in with Roswyn's 50th Anniversary Year! So please bring along family and friends who would like to see the wonderful array of the GOLR photos and memorabilia and enjoy the light buffet luncheon. Thank you to everyone who came along to support the day, below are just a few of the FB comments of Ratlings who attended. Another wonderful, wonderful afternoon spent at Roswyn House today, the home of the Grand Order of Lady Ratlings. The archives were opened and there was much to see from as far back as 1928. We had a full house with great company. Thank you so very much to the ladies who laid on a fabulous lunch for so many. Can hardly wait for our next event. There's always a special welcome for everyone at Roswyn. Charlie James They truly are Anna all that hard work to make our events so memorable. I've come to love Roswyn over the years, I really have. Aren't we lucky To have has such a kind benefactor in Sir Billy Butlin & the continuing support of Lady Butlin and her family? Tricia Court Congratulations to our Curator Billie Roper for her displays celebrating the 50th anniversary of Roswyn. Our archive books are always available to look through if you pop in any Tuesday or Friday when we're there. You will be amazed at the wonderful talent we had and the fabulous talent we have now. 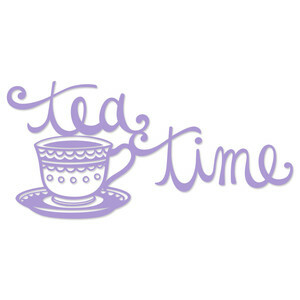 LOCAL COFFEE MORNINGS: If you are not able to attend Roswyn's functions but would still like to help out with our fundraising, then why not host your own 'Local' coffee morning in your area? These used to be very popular years ago with members of our Order organising them, and many of us will especially remember the ones organised by the late PQ Marie Calores at her house in Enfield. All you have to do is invite any Ratlings who live in your area (The Essex Girls - The Sussex Girls - The Norfolk Girls - The Scottish Girls - or anywhere else in the UK where Lady Ratlings may live! ), and then get them to bring along some family and friends as well. You provide the tea/coffee and biscuits, maybe another Ratling would bring some home made cakes, another one maybe a nice couple of Raffle prizes and you have a lovely afternoon and raise some funds for Roswyn's restoration. Roswyn is available for Lady Ratlings and Water Rats for celebration parties, rehearsals and auditions, social nights, funeral receptions.